We talk about how you can take advantage of a great tax credit. The sun provides plenty of natural energy, so why not start using it to your advantage? At May Electric - Solar Division, we help customers in Tampa Bay install and maintain cost-effective solar electric systems in their homes and businesses. Solar energy is an eco-friendly alternative to traditional utilities; When your solar energy setup produces more electricity than you use on a monthly basis, the power company has to pay you. Please call May Electric Solar today for a free consultation! 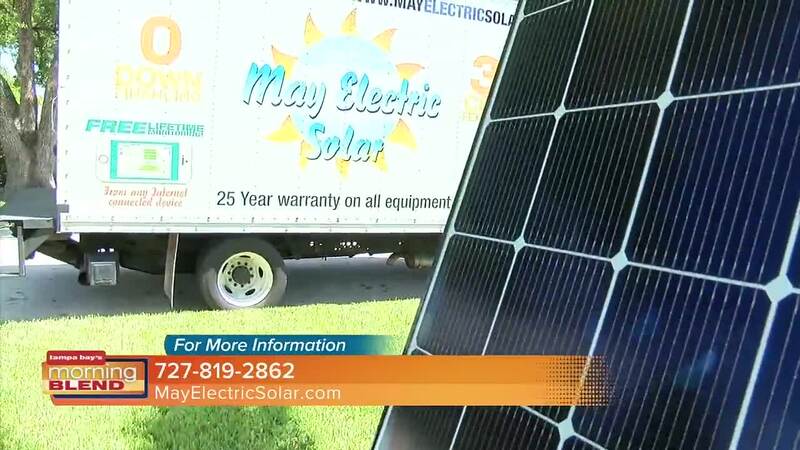 Call 727-819-2862 or visit www.mayelectricsolar.com .